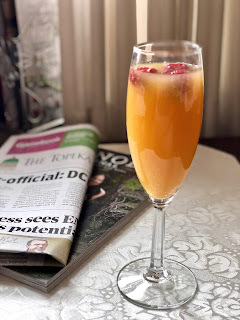 I was excited to finally reach this week in the Gourmet Live50 Women Game-Changers that I and my fellow food bloggers post about each Friday. Nigella Lawson is one of my favorite food personalities. She makes cooking a sensual experience, and her gift for descriptive words warms my writer’s heart. But most of all, I like her because she always emphasizes recipes that are enjoyable for everyone—delicious for the guests and stress-free for the cook. Plus she’s British, and I’m a life-long anglophile. After searching through her cookbooks for one in the many recipes I wanted to feature, I decided on her chocolate orange loaf cake, primarily because I had all of the ingredients and I didn’t want to let my partially-used can of Lyle’s Golden Syrup go to waste. 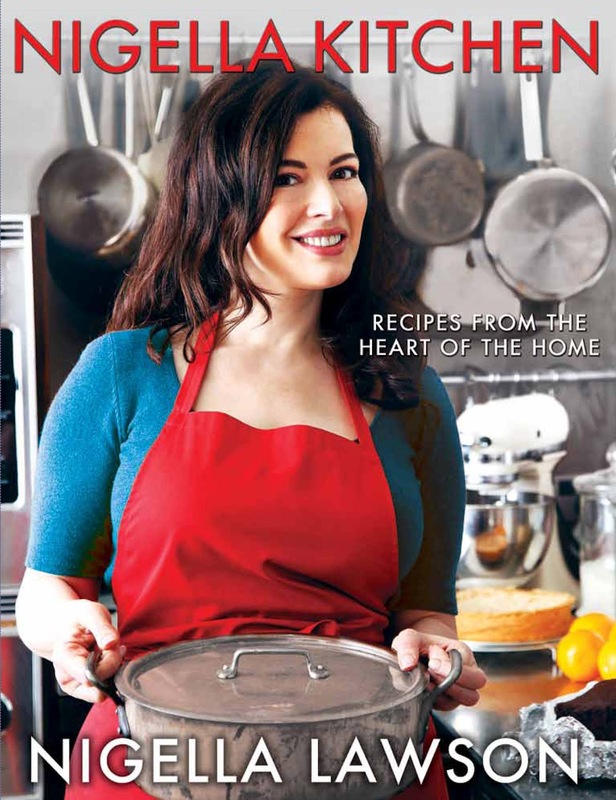 I was surprised by the image in her cookbook, Nigella Kitchen. The cake had sunk a great deal and wasn’t the most beautiful one I’ve seen. 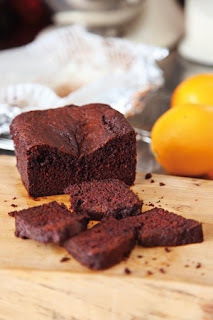 According to her website, that is how the cake should look and she wants all of the images to look real so the home cook won’t be surprised by the results. My relationship with this cake didn’t start off well. I mixed up the ingredients, poured the batter into the loaf pan, and popped it into the oven. About five minutes before the timer was about to buzz, I began to smell something burning. When I investigated, I found the batter had oozed over the top of the loaf pan and into the bottom of my oven! I quickly turned it off, pulled out the surprisingly still soupy cake, and turned on a fan in hopes the smoke would not set off my apartment building’s fire alarm. What had gone wrong? 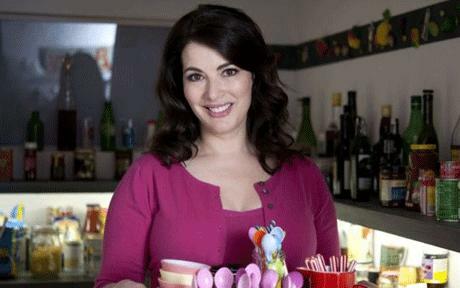 I checked out the Kitchen Queries section of Nigella’s website. The recipe in the cookbook called for a two-pound loaf pan, which is one that measures 9 x 5 1/2 x 3 inches. My loaf pan is 9 1/4 x 5 1/4 x 2 3/4 inches. I guess it was just too small. The cake is crumbly, but I noticed in the cookbook photo it also looked that way, so I guess it is just the nature of this cake. Made in the spring form pan, it can fit any special occasion, be it an elegant tea or a casual birthday party. Next time I plan to serve it with a little whipped cream on the side. Preheat the oven to 325 degrees F and line your loaf pan with parchment paper and grease the sides, or line with a paper loaf-pan liner. Beat the already soft butter with the syrup — if you dab a little oil on your tablespoon measure with a sheet of paper towel, the syrup shouldn't stick to the spoon — and the sugar until you have a fairly smooth caffe Americano cream, though the sugar will have a bit of grit about it. Mix the flour, baking soda, and cocoa powder together, and beat into the syrup mixture 1 tablespoonful of these dry ingredients before beating in 1 egg. Then add another couple of spoonfuls of the dry ingredients before beating in the second egg. Pour and scrape into the prepared pan and bake for 45 minutes, though check 5 minutes before and be prepared to keep it in the oven 5 minutes longer if need be. A cake tester won't come out entirely clean, as the point of this cake, light though it may be, is to have just a hint of inner stickiness. Let cool a little in its pan on a wire rack, then turn out with care and leave on the rack to cool. Linda you are a trooper!! And from the looks of that gorgeous cake (on the top and the slice on the oh-so-lovely plate)it was worth all of your efforts. You and your family must be the poster people for delayed gratification...ha!! Glad the second time was a charm and that you were able to truly enjoy this cake! The recipe sure looks and sounds like a winner! Enjoyed reading your post. I had a similar mishap with runaway batter when I made poundcake from scratch recently. Every time I bake and cook is a learning experience. 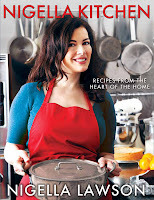 I have looked at the photo in her cookbook often, and wondered how it would taste. Thanks for letting me know! That cake looks scrumptious! So glad you gave it another shot!